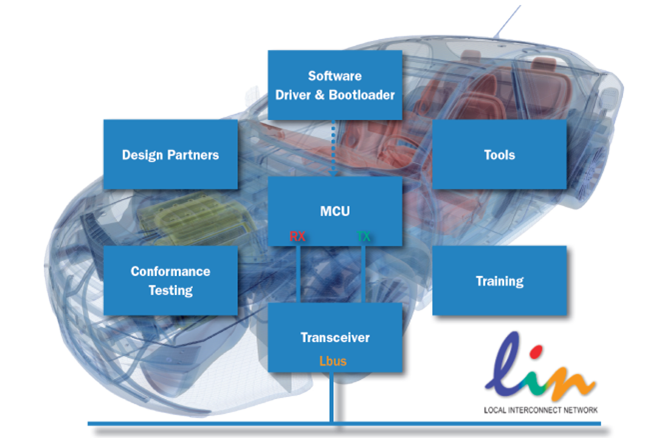 Low-cost Local Interconnect Network (LIN) systems are used throughout automobiles in comfort, powertrain, sensor, and actuator applications. The modular Microchip LIN family ranges from simple transceiver ICs to complex system basis chips with LIN transceiver, voltage regulator and watchdog. At higher integration levels, the Microchip System-in-Package (SiP) solutions feature an AVR®, an ARM Cortex® M0+ microcontroller or PIC microcontroller, LIN transceiver, voltage regulator and watchdog in a single package.